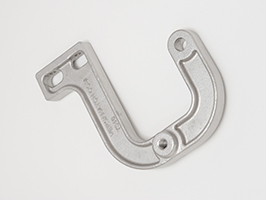 Our unique heavy duty articulated hinges are designed specifically for roof hatches. 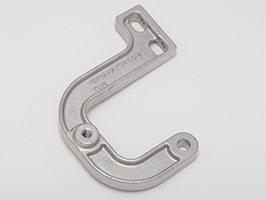 The design of this hinge allows for mounting a hatch cover or tool box cover when the lid overlaps and hangs down over the base. This is especially important for weather proof hatch design. The upper part of the bracket is drilled for #10 machine screws and the boss at the center is tapped 5/16”-18. 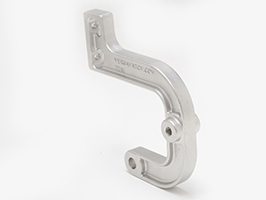 The geometry and design make this hinge very strong and lightweight and since the alloy is T-316 the hinge is extremely durable, resisting corrosion.